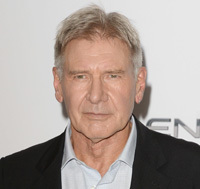 Although he says he’s not yet sure if he wants a role in Star Wars: Episode VII or not, Harrison Ford told Graham Norton (via Metro) that he’d do Indiana Jones 5 film “in a New York minute”. George Lucas had last discussed a potential fifth big screen outing for Henry Jones, Jr. back in 2011, suggesting that a story was already in place, but that the film was still in need of a MacGuffin. A term popularized by Alfred Hitchcock, a MacGuffin refers to a narrative element that drives the story forward. The Indiana Jones series is famous for making the MacGuffin the object of Jones’ search. In Raiders of the Lost Ark it’s the Ark of the Convenant, in Temple of Doom it’s the Sankara Stones, in The Last Crusade it’s the Holy Grail and, most recently, in Kingdom of the Crystal Skull, it’s the skull itself. Regardless of what happens with either Star Wars: Episode VII or Indiana Jones 5, audiences won’t be without Ford on the big screen. He already starred earlier this year in both 42 and Paranoia and can soon be seen in Ender’s Game and Anchorman 2: The Legend Continues.